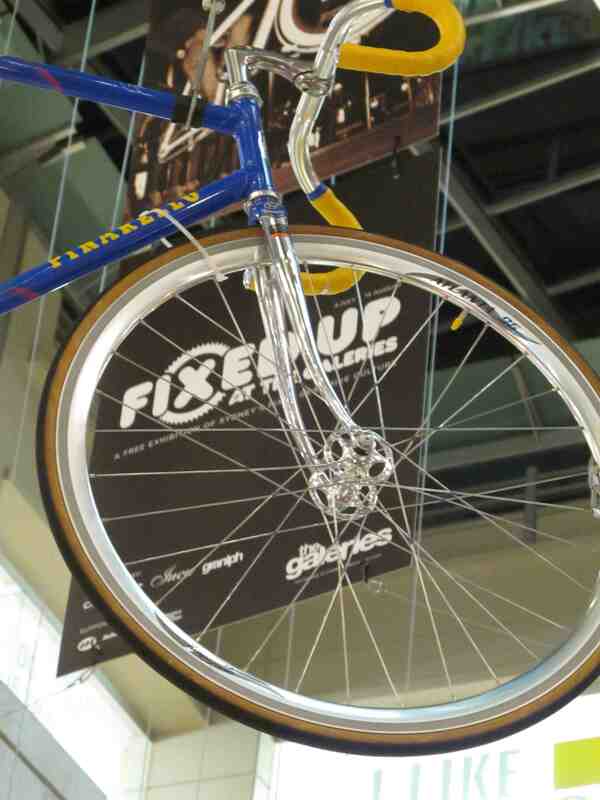 Fixed up @ the Galeries is a month long celebration of Sydney’s fixie bike culture. 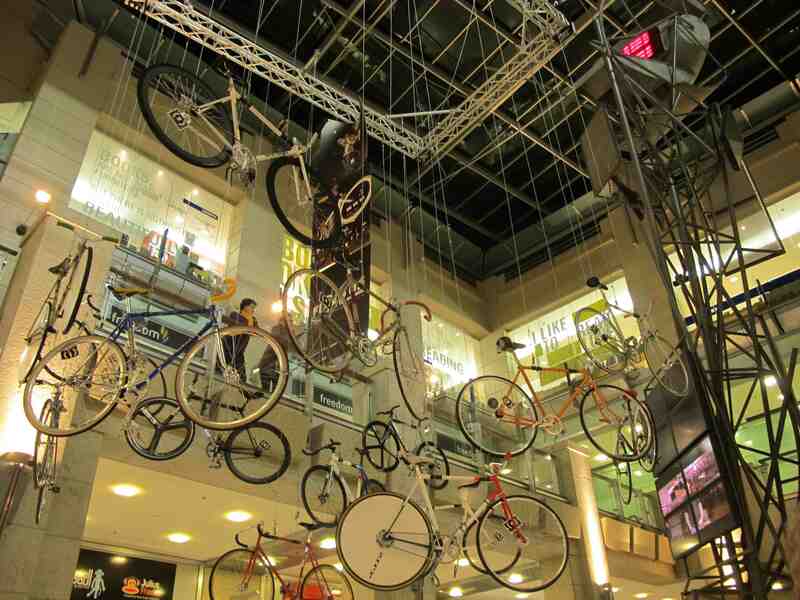 Located oposite the QVB right in the heart of the Sydney, the exhibition includes exciting bike displays, museum style cabinets and support from big name shops in the Galerie complex. 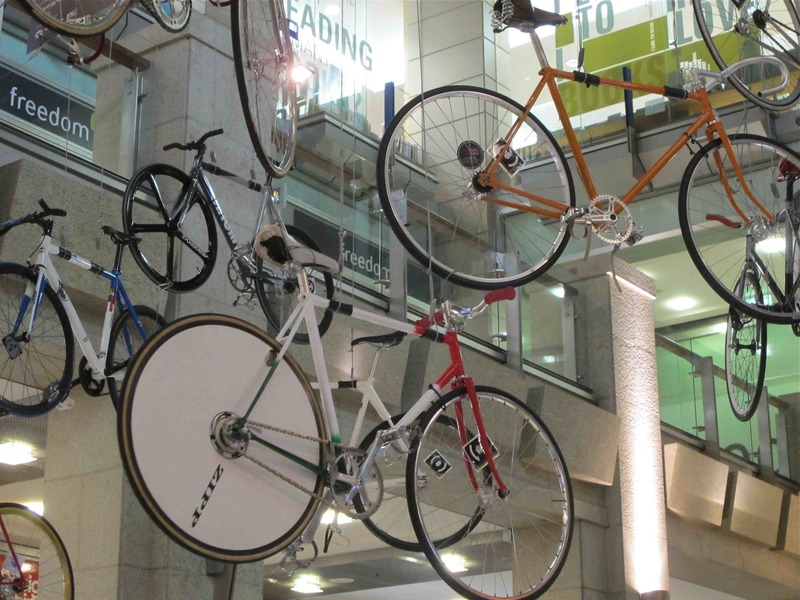 Check out this website for more information and if you’re in town in the next few weeks check it out and get excited about the dramatic growth of cycling in Australia’s urban jungle and Thursday night fixie racing!